I’m playing catch up again, so another month of highlights. It’s hard to know where to start, there have been so many this month. Probably most memorable was my first trip to Yellow Springs. I had heard so much about Yellow Springs but it lived up to the hype, helped by perfect weather over Mother’s Day weekend. It reminded me of Northampton MA, where I used to live. Smaller and quieter but the same crunchy, relaxed vibe. 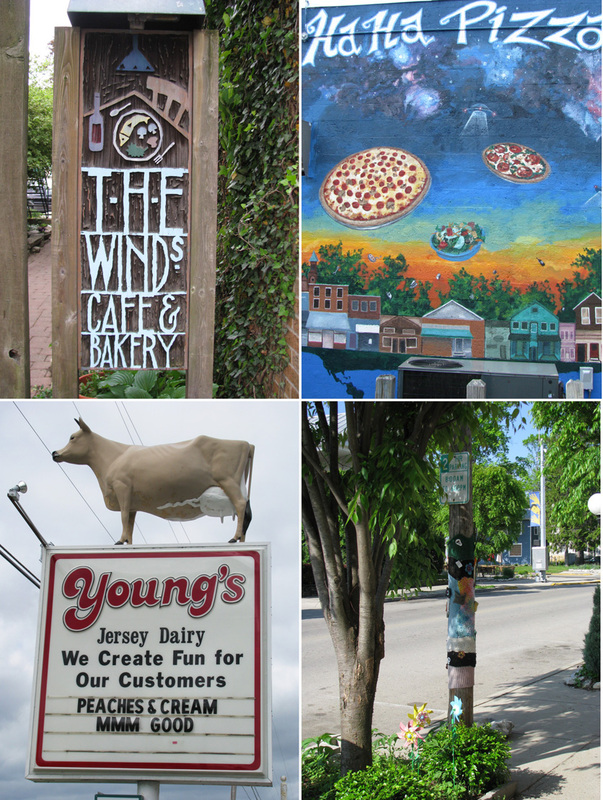 We camped at John Bryan State Park and ate our way through Yellow Springs, hitting Young’s Dairy, The Winds Cafe (dinner), Sunrise Cafe (breakfast) and Ha Ha Pizza (lunch)… and yes we did see Dave Chappelle. The Winds alone was worth the trip and I would go back at any opportunity. The food was creative, seasonal and well prepared. I was sold as soon as I saw the cocktail menu (I had a delightful champagne and st. Germain elderflower cocktail) and it just got better from there. The stand-out dish was chipotle lime mashed sweet potatoes with bacon which I have tried and failed to emulate at home. Our table was too dark to get any decent photos of the food, but that just gives me my first excuse to go back. The second highlight of the month was what we have come to refer to as ‘Taco TV’. You can read a full report and see more photos of the action on tacotruckscolumbus.com. We were approached by 10TV about doing a feature on Columbus’s taco trucks and were happy to oblige. I was chosen as the spokesperson and we introduced Robin Davis and her film crew to a few of our favorite trucks. It was a lot of fun and should be broadcast sometime in the next week or two. Speaking of favorite trucks – Los Guachos is worth mentioning here. We were alerted to it earlier this month and have been frequent visitors ever since. Unlike any of the other trucks they cook al pastor (marinated pork) on a spit and so it is a cross between a taco truck and a kebab van. It is really, really good. As well as tacos they also serve a gringa which has a layer of caramelized cheese and is one of my favorite food items in the city. On Tuesdays they have 2-for-1 on tacos. You can’t beat that for value and you can’t beat the al pastor. This month we also found two Colombian ‘taco’ trucks offering empanadas and Arepas as their standard fare. It amazes me that with 20+ trucks listed we still keep finding out about new ones. Keep checking taco trucks Columbus to see what’s new. Sometimes when we are out taco truckin’ we have other fortuitous finds. 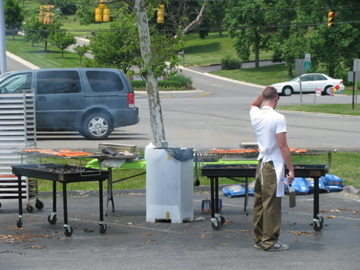 One such was Chasis Place BBQ, the second mobile BBQ vendor we have found. 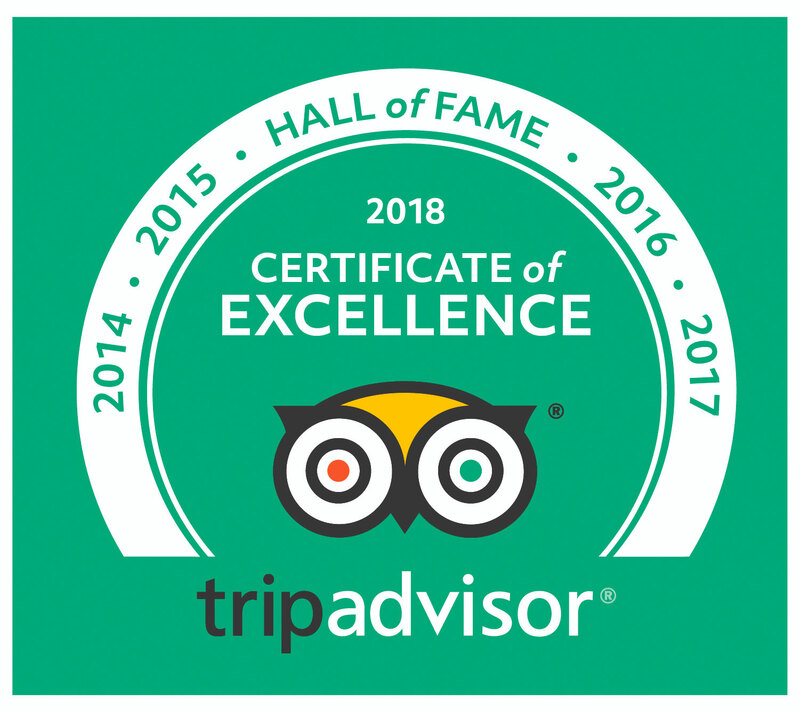 We had read about this west-side gem on Columbusfoodie and had been keen to try it but were never there at the right time. Imagine our surprise and delight when we found it over on the east side, when we were looking for El Manantial Latino (one of the Colombian trucks). 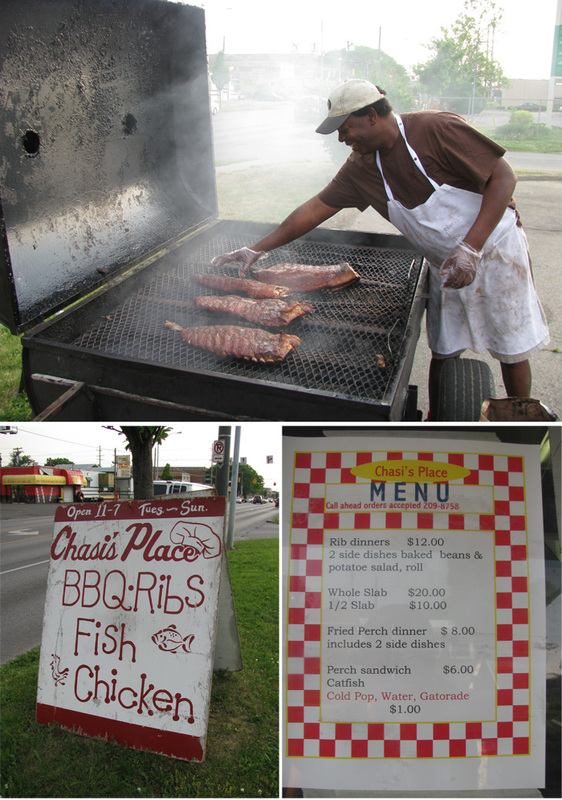 When we discovered Chasis we were accompanied by my taco truckin buddy CMH Gourmand – a Kansas City Barbeque Society Certified BBQ judge. The expert Gourmand declared it excellent BBQ, so you don’t just have to take my word for it: this is the real deal. Tennessee style ribs smoked for 3-4 hours over apple or cherry wood, tender and flavorful with our without the sauce. Chasis Place is opening a permanent take out place on Main Street but it sounds like they will still keep the truck and maybe move it back to the west side. 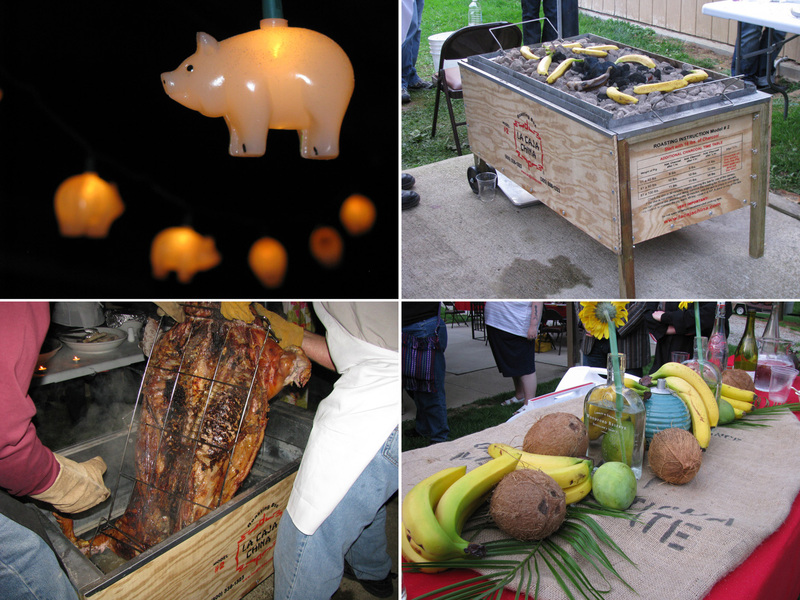 Continuing on the BBQ theme – Slow Food Columbus’s cubano pig roast, one of the wonderful food events I went to this month. You can read all about the china box method of pig roasted and details of the event on the Slow Food blog. 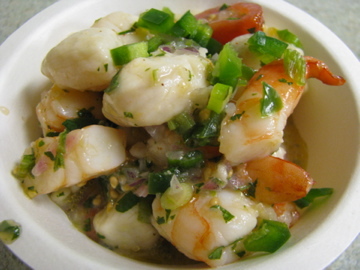 The highlight for me was actually the home made ceviche of bay scallops, shrimp and corvina, with a perfect blend of lime, chili and cilantro, it was phenomenal. I used some of the left over bananas and coconuts to made banana bread. I found the recipe for coconut banana bread on the Orangette blog and it was one of the best banana breads I have ever had (must be the rum!) I substituted fresh grated coconut and it worked fine. 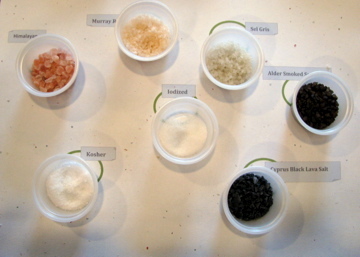 May’s Too Many Cooks event at Wild Goose Creative was a salt tasting with Lisa Dillman (aka Restaurant Widow). Lisa led us through a series of her favorite salts discussing the differences between them and possible uses. The coolest was the Cypriot black lava salt which forms in amazing little pyramid shapes. Taste-wise I liked the sel gris the best. The smoked salt was the most popular that I brought home and the Murray River salt (which reminds me of my Christmas trip to Australia) is definitely the prettiest. The is an awesome photo album of the event here. I went to two events at the Hills Market this month: their annual Memorial Day weekend salmon roast and a much smaller gathering of people who thought that beer floats were a good idea. 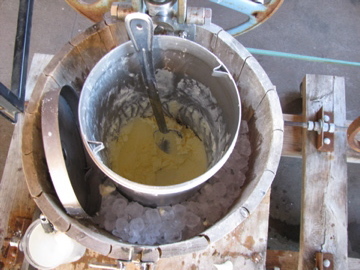 The latter was an ice cream social with Snowville creamery. Beer floats may be a strange idea, but root beer floats are not and using a bicycle to churn Snowville cream into ice cream is an excellent idea. The beer floats were surprisingly good. The annual salmon roast is a huge affair and I imagine a couple of thousand people plowed their way through the seemingly endless supply of salmon sandwiches. Hills have things well worked out, the line moves quickly, there is music and even free samples of ice cream and other goodies to try while you wait your turn. We rode our bikes up the Olentangy bike trail and enjoyed relaxing on the patio (and in the air conditioned store) before our ride home. I have to admit my highlight was trying Jeni’s strawberry buttermilk ice cream for the first time. Not too many restaurant visits this month, those taco trucks keep us busy. Apart from The Winds the highlights were dinner on the patio at Basi Italia– voted 5th best patio in Columbus (they now serve lunch out there as well). I went to meatball monday to ‘celebrate’ losing my job, it was a perfect setting and a cocktail, good food and good company was just what I needed. I also had my first visit to G. Michaels in German Village. We sat at the bar on a sunday evening and shared some appetizers. 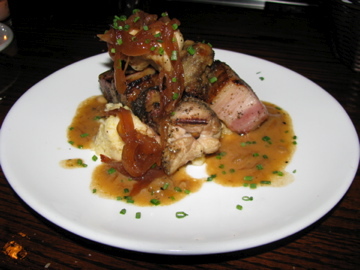 Our favorite was sweetbread, chicken liver and bacon skewers over buttermilk grits with vidalia cream. It was both well conceived and well executed and really hit the spot. My new (on sale!) 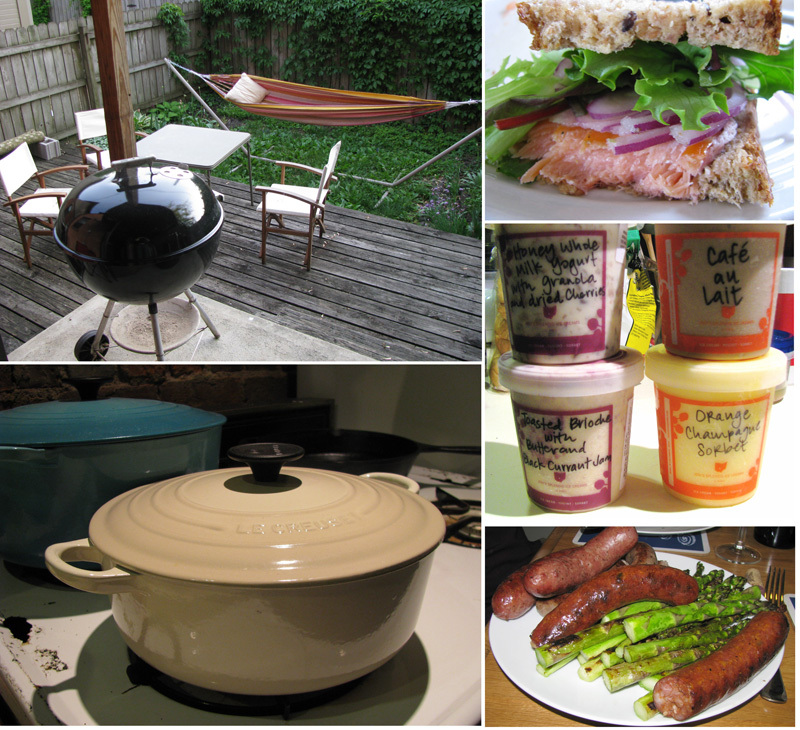 Le Creuset – thanks to the North Market Cookware. Jeni’s Mothers Day ‘Brunch in Paris‘ Ice cream flavors – Only Jeni could have made ice cream a breakfast food! How I long for more toasted brioche ice cream – and why don’t they make the cafe au lait all the time? I much preferred it to the dark coffee they normally have. Grilled asparagus. My number 1 vegetable this month. The return of the farmers markets. Thurns smoked pork chops (not shown). So tender, so tasty not to mention their garlic brats and smoked trout (pictured). I have written about Thurns before. If you live in Columbus and you still haven’t been there, and you aren’t a vegetarian. Go. So that was May. June starts with a ten day trip to England and I will try and blog a little while I am away. I hope to post more frequently over the summer. Thanks Just. I had a lot of catching up to do before my trip! Maybe I should do a post on Pimms while I am in England? 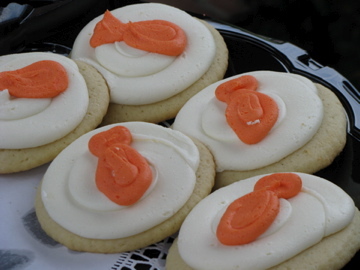 hmmm… Yummy… had a great time reading your post.. keep it up..
What a great blog, the pics and info is mouthwatering. I eat at the Winds a lot, and yes the food and ambiance is first class.